Thank you so much Ann Lesley, she gave me hope. Picked up on my situation quickly. Super straight to the point . And detailed . Exactly what I needed !!! Wonderful lady! Very straight forward yet compassionate! Thank you for your honesty! As usual .. good reading . I feel her energy . I love her advice and have full faith in her . I will be back July first week for updates . If something crops up in between I'll get on touch with you Ann. I ?? I have done four years of Bible study and I work with people every day with all problems In their life The grief of loss can be so painful I have walked in your shoes. You are the most important person right now. A clairvoyant, claridesent psychic and have studied many forms of Spirituality providing you a reading which includes pyschic empathy readings, palmistry and astrology. With these gifts I can give you the answers to the Riddles which will help clear the doubt surrounding you. I can help to clear away a lot of the doubt around you and offer the affirmation you need to further you in your life path, and help you to find the strength and guidance you need to embark on a new journey. I have assisted people for many years now to help solve or improve their dating, love and relationship situations, as well as helping people that are struggling with any personal matters or life questions. Let me guide you to a much happier life also, by giving you the reasons 'why' things are happening the way they are. All situations are not hard for me. I can bring you to your love, happiness and true path. Be prepared to know and see! AND CHANGE ANYTHING you want! The reading I will give you will be not what you want to hear but it would be what you need to hear understand as I talk from the heart. Remember there is not anything one hundred percent things can change and you have freewill. I provide honest insight just for you. Some times you are waiting and this can be frustrating let me show you how you can get over the wait and hurt. I am a Professional member of the. 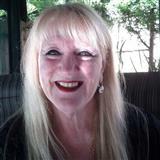 (Australian National(Federation of healers) I have been a life coach for 34 years.